Yesterday I had a history lesson – a lesson about just some of the women who helped shaped the great city of Houston. I had no idea that women had such an instrumental part in shaping the place I call home. 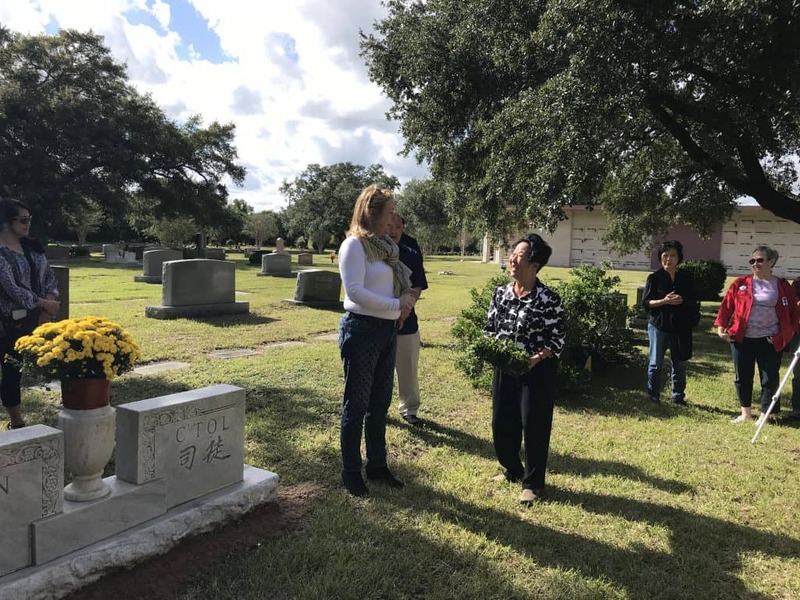 Archaeology Now, the Archaeological Institute of America – Houston Society, hired me to assist in the promotion of its annual Cemetery Tour, which always takes place the weekend around Halloween. We loaded a bus at the Houston Heritage Society on Bagby and visited two cemeteries, Forest Park Lawndale and College Park. 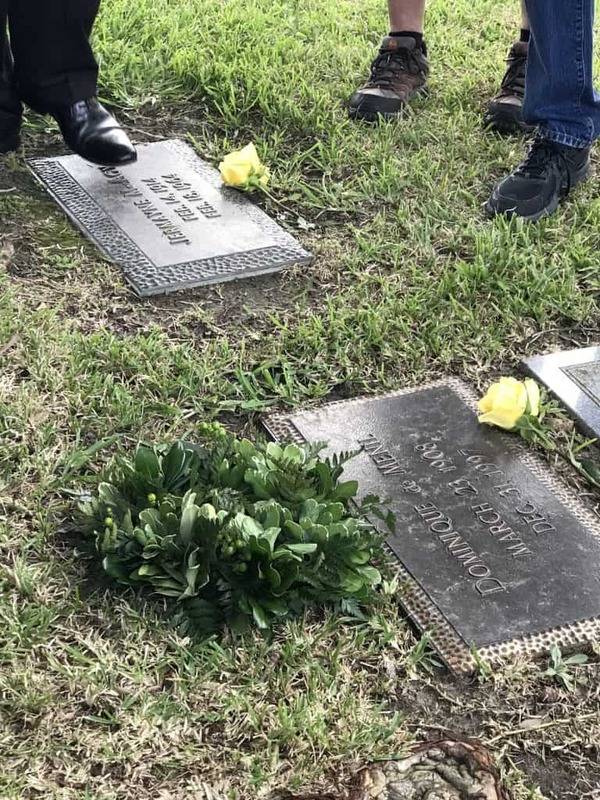 At each cemetery, we stopped at the graves of famous Houston women, including Kezia Payne DePelchin, Maria Ninfa Rodriguez Laurenzo and Dominque de Menil. My favorite stop along the way was the grave of Chee Bong Eng C’ Tol (1894-1972). Described as a family visionary, she and her husband built a neighborhood grocery story in the Third Ward of Houston, which served African-Americans during segregation. Through her dogged perseverance, she was able to send all three of her daughters to Rice, making them among the first Chinese to graduate. 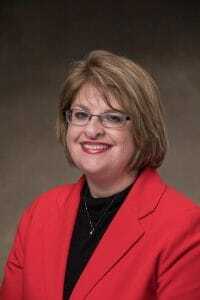 Her daughter, who greeted us at the graveside, was inspiring as she told her mother’s story. At College Park Cemetery, we visited the grave of Lucy Walker, a former slave who became a beloved member of the Autry family of Houston. 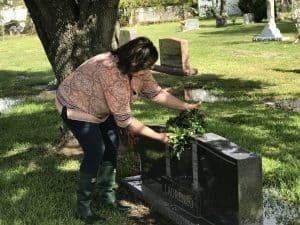 When Lucy died, the Autry family wanted her buried at Glenwood Cemetery with them, but Jim Crow Laws prohibited this. What is special about her final resting place is that while all the other plots in the cemeteries face east, her faces north so that she would face the family that embraced and loved her. The stories go on and on. I was in awe of all of these women – some single, some widowed, some of them slaves, but all of them facing insurmountable odds and all of the strong and courageous. Thank you to Houston historian, Betty Trapp Chapman, who served as the tour guide. Your zest for history and love of Houston shone through as you enthusiastically told the stories of these women. 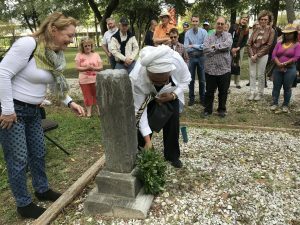 Pinkie Yates’ great niece, Martha, places a wreath on her mother’s tombstone. Pinkie, born into slavery, became a pastor to Houston’s African-American community and spent the majority of her life in education. The Houston Chronicle covered the event and you can find the story here. The Houston Forward Times also covered the event and is expected to come out in the near future. Thank you Archaeology Now for this unique opportunity!